Bring a picnic and join the Golden Lions Club for the 4th of July community celebration in Lions Park on 10th Street again this year. This is one of the major ways for the Lions to give back to the Golden community and our country. Activities start at noon and include free rides for the kids, face painting, live music, and a large fireworks display in the evening (weather permitting!). There will also be food for purchase. Stick around as the sun sets for the fireworks (weather permitting!) – the best views are from Lions Park. In order to be able to provide free rides, music and entertainment, Golden Lions will be selling raffle tickets starting on Sunday, May 31. Proceeds from ticket sales are used for the most part to fund the event, and any excess goes back into community betterment projects. For a dollar each or six tickets for five dollars, you get a chance to win one of over 200 prizes ranging from overnight stays at mountain casinos to the grand prize of $1,000 donated by the Lions Club. The tickets are also printed with coupons that can be used for discounts and prizes at local stores and restaurants. You don’t have to be present to win. Winners are announced throughout the day with the grand-prize winner identified just before the fireworks. Most of the raffle prizes are donated by local merchants and businesses as their way of supporting the event and the community. So when you see those guys in front of King Soopers, Myers Hardware, Windy Saddle Caf?, and other local businesses or at the Golden Farmers Market in their festive gold vests with raffle tickets in hand, make sure you become part of the celebration and buy some tickets. 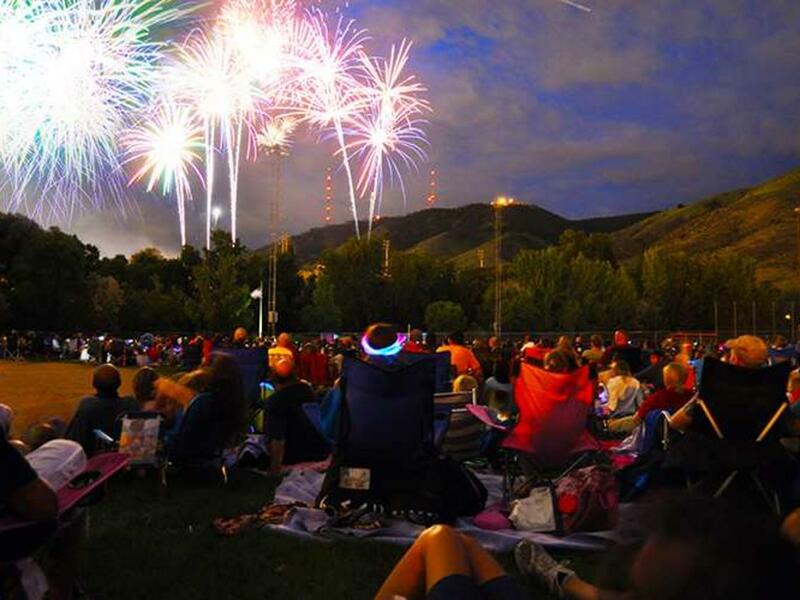 Most of all come to Lions Park and have fun on the 4th of July! For more information, visit the Golden Lions Club website. Bring your tattered and worn “old American flags” to the July 4th Festival and they will be put to good use. Gettysburg Flag Company will re-cycle the old flags and forward the embroidered stars to our military troops to carry in their pocket. Along with the individual stars is a brief note, stating that this star once flew proudly at an American home. PLEASE NOTE THAT ONLY FLAGS WITH EMBROIDERED STARS CAN BE USED.